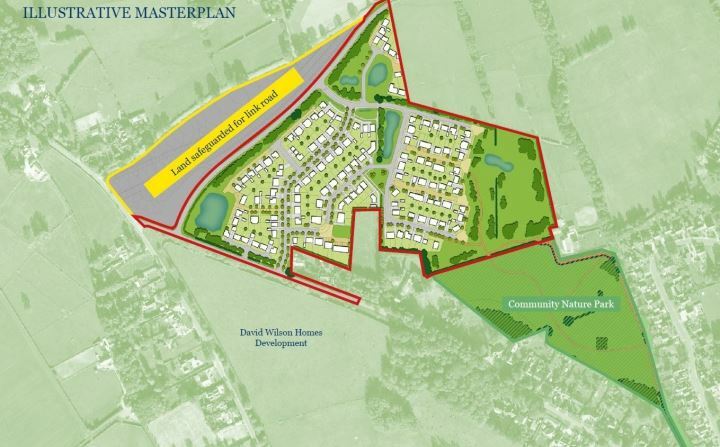 Bearing in mind that at some stage the development of Radnor Grange (see map below and follow link – https://search.savills.com/property-detail/gb726cpa6125#/r/detail/GB726CPA6125 – will be commenced and will almost certainly coincide with the build period of Black Firs Park, there is suggestion we seek a one-way route for HGV’s to both sites – possibly enter by Chelford Road, depart by Black Firs Lane. When this was mentioned at our last meeting it appeared to get an enthusiastic response from members of the public present. We are surprised by the fact that the Traffic management plan only relates to internal site traffic and that there is no Construction Haul Route Plan – all traffic to and from site via Chelford Road. We were given to believe it had been agreed between DWH & CEBC. This is what has led to most of the problem at the Chelford Road end of BF Lane – the constantly passing lorries. The problems at the other end of BF Lane to the junction with HC Road were caused by the utilities work. Can you let us know what you think please?